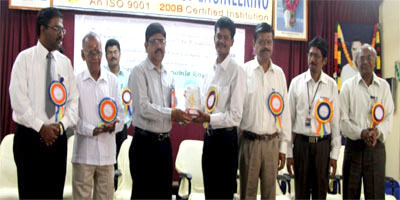 The DepartmentClass ToppersRank HoldersOrganization ChartGraduation DetailsAU AcademicsEvents Attended by StaffIndustrial VisitLab DetailsAchievementQIPOrganized EventPaper PublicationSAEINDIA KLNCE COLLEGIATE CLUBStudent Productivity ClubIIPC - IDCAFaculty ListStudent ListLibrary Books For Auto. To be an Academic Centre for Quality Education, Innovation and Constructive Resources for the Automotive Industry and Society. To offer State-of-the-art Undergraduate Programme in Automobile Discipline to fulfill Industrial Requirements Globally by Imparting Innovative Knowledge, Ethical values and Collaborative Projects. PEO1 Will have applied their engineering skills in solving contemporary issues of analyzing, designing and evaluating automobile engineering problems. PEO2 Will have engaged in solving technical and social problems with their creative skills, interdisciplinary and collaborative approach with good communication skills. PEO3 Will have ethically practiced their profession with leadership qualities to tackle business challenges. PEO4 Will have involved in sustained learning to adapt themselves in continuously changing and challenging environment through self and professional studies. PSO1 Apply mathematics, science, and computing techniques in a comprehensive method to solve automobile engineering problems in the areas of Vehicle design, Vehicle dynamics, automotive electronics and Power train problems. PSO2 Use modern modeling and simulation techniques with acquired cross-discipline knowledge and industrial engineering concepts to develop strategies for solving automobile engineering problems in the current work environment. PSO3 Assess society needs and develop constructive and creative solutions for complex automobile engineering problems under social and ethical constraints. We are proud to state that our institution is one of the few institutions in the state offering four-year degree course in AUTOMOBILE ENGINEERING from the academic year 1999 - 2000 with an intake of 30 students. 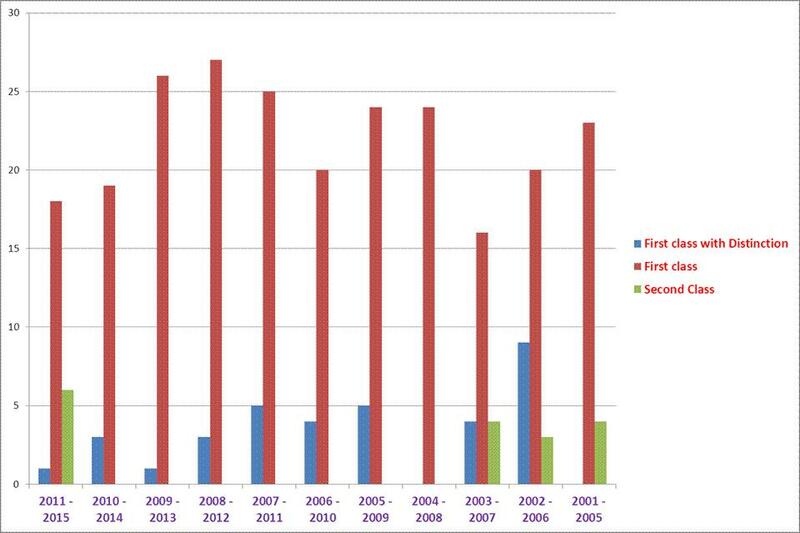 Automobile Engineering is having wide carrier growth all over the world. Our graduates are well trained in the areas of Production, Design, Service and Maintenance of Various Automobiles. 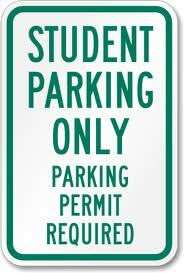 Our curriculum is designed in such a way that we specialize in Automobile Engineering. 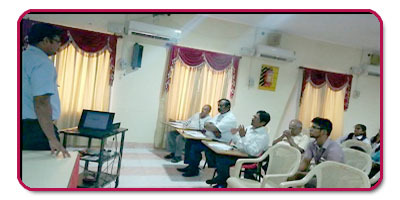 We are giving hands on training in variety of vehicles. 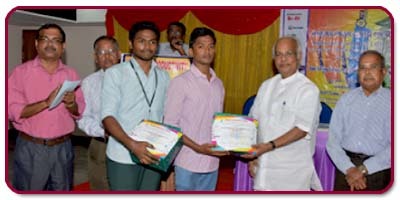 Every year our students secure very high marks and produce excellent results. We are very much confident that our students will secure most of the university ranks. 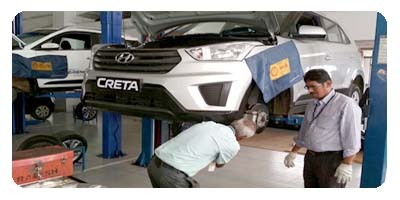 * Ford India Limited, Chennai. Our Automobile Engineering association "Automobia" Organises seminars bringing experts from leading industries and we update ourselves with advanced technology. We visit atleast five industries per semester. 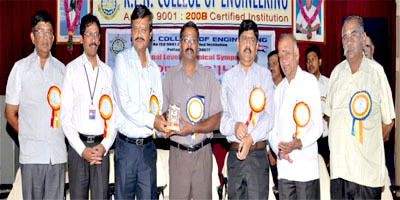 Inauguration of SAE India KLNCE Collegiate Club. 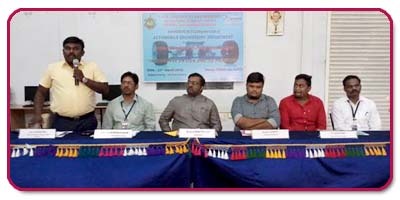 A collegiate club has been functioning in the Department of Automobile Engineering in the name of "SAE INDIA KLNCE COLLEIGIATE CLUB" for the benefit of Students and Staff members to interact with industry and academic experts in automotive field. 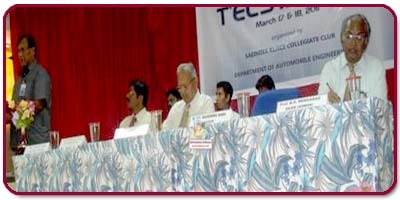 National Level Technical Symposium – Propelz’10 held on 16/02/10. 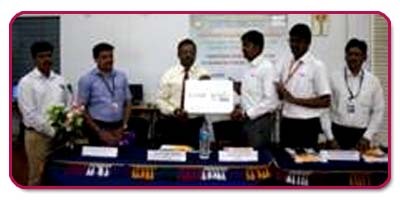 Mr.P.Karthik Selvan, AP Seven Days FDTP on “ME6503-Design of Machine Elements” approved by Anna University, Chennai. 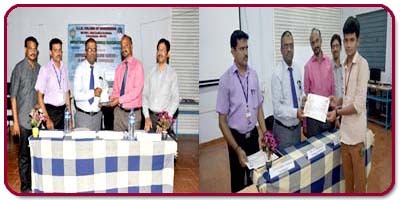 Mr.R.V.Suresh Babu, ASP Seven Days FDTP on "Teaching and Research with Technology"
Prof & Head Knowledge Transfer to Industry -"5S surprise audit and QC Evaluation". 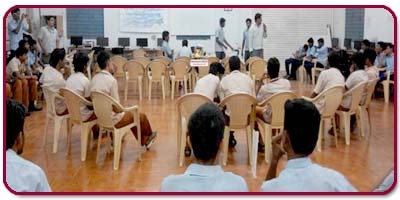 Bharath Niketan Engineering College, Aundipatty, Madurai. 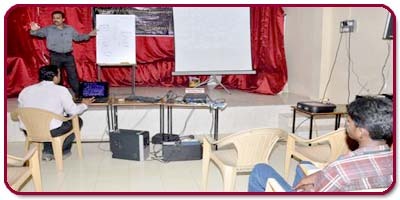 Mr. P.Rajdev, AP Two days workshop on “Vehicle Dynamics: organized by Department of automobile engineering. 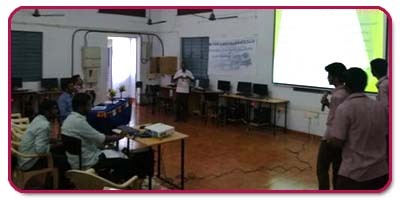 Mr. N. Rajkumar, ASP1 One day Workshop on "Desathin Sindhanai Sirpigal"
S. Mohamed Jameen, AP2 Seven days FDTP on "ME6603-Finite Element Analysis"
Kumarasamy College of Engineering, Karur. 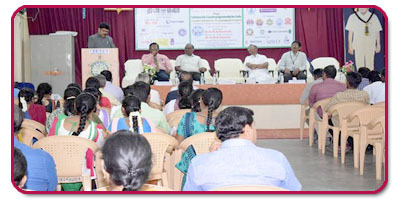 Mr. R. Sundar,AP One day Workshop on “Intellectual Property Rights and innovations” Organized by Quality Circle-Advanced Research and Development” in association with Anna University, Chennai. Mr.S. 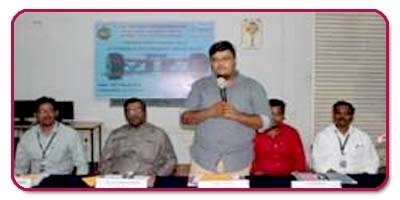 Mohamed Jameen, AP Seven days FDTP on “Automotive Electrical and Electronicssystem(AT6502)” in association with Anna University, Chennai. 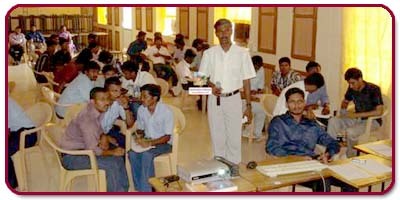 Anna University, Bharathidasan Institute of Technology, Trichy. 23-07-2014 M/S. Sun pressing Pvt. 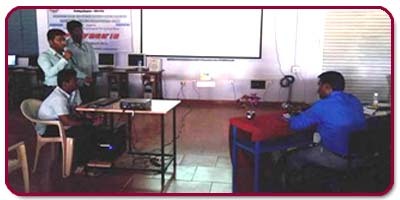 Ltd.
Computer Aided Automotive Design and Drafting Laboratory is well equipped with high configuration computers to uplift the software knowledge of the students in the core discipline. 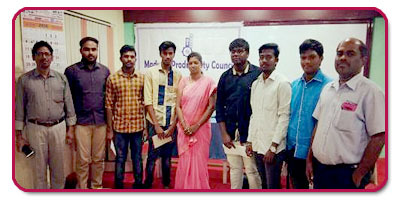 The facilities in this Lab helps the students in developing and exposing their knowledge in 2D and 3D-Modelling using the software packages like Auto CAD2014, PROE, Solid Work, etc,. Engine Components has different variety of running model and dismantling model of modern engines and its sub components and assemblies. Students are familiarizing in practical working of components and getting information’s related to the dismantling, assembling, setting and adjustment procedures. Chassis Components helps the students in familiarize with mounting practices of the various equipments and components in the chassis. This lab is equipped with the heavy duty crane and modern garage equipments, which will enable the students to cope up with the knowledge of latest repairing and servicing. Fuels and Lubricants Laboratory consists of many equipments related to measure the properties of the fuels and lubricants of Automotive Engines. 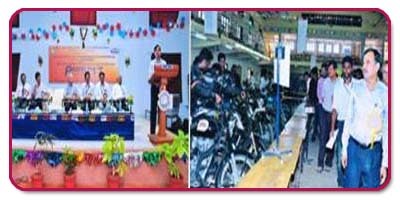 Vehicle Maintenance Laboratory comprises of the equipments and machineries related to maintain and recondition the Automobiles in an Auto garage. Also it has the computerized equipment to measure the Wheel Alignments and Machines for reconditioning and repair the engine and chassis components. This kit enables the workshop to have everything needed for diagnosis, troubleshooting, maintenance and service, simply at the touch of a button. A wind tunnel is equipment used to examine the stream lines and forces that are induced as the fluid past a fully submerged body. The wind tunnel consisting of a square test section with transparent side walls, size 300x300x1000 mm long the bottom and sides of the test section with window opening to enable fix models. A bell mouthed entry with honey comb network and screens with smooth settling length provided before the test section. Air flow is generated by a suitably designed axial flow fan, with a D.C motor of 5H.P, 2800 rpm and a thyristor drive for speed control. The approx. volume flow rate 10,000 cm h with static pressure of 50 mm of W.C, under free running condition .sturdy angular stand are provided for vibration free running. Major goal of this lab is to make the students to get knowledge in performance test on two and three wheelers and dismantle and assemble the gear box, steering system. Computerized Two Wheeler Chassis Dynamometer. 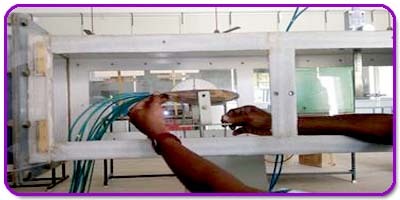 Two Wheeler Chain Tension Test Rig. Dismantling & assembling of Two wheeler gear box and finding gear ratio. 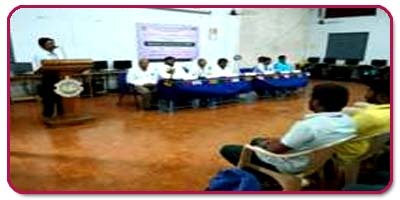 SAEISS TREK Program-“ Meeting the challenging Head” Held on 02.08.14 & 03.08.14 at SSM Institute of Engineering and Technology, Dindigul. 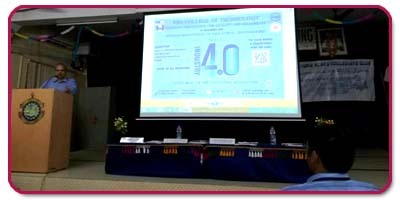 Paper Presentation-SAE INDIA Student convention October 2014. 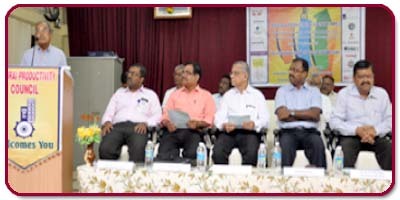 Held on 07.10.14 at SSM Institute of Engineering and Technology, Dindigul. 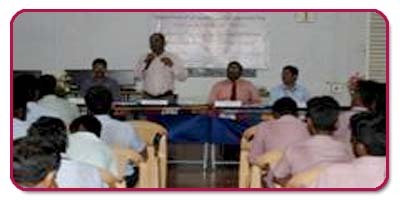 Auto Quiz Held on 07.10.14 at SSM Institute of Engineering and Technology, Dindigul. 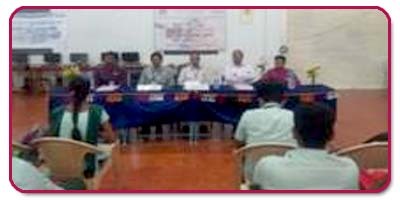 Industry problem challenge contest Held on 07.10.14 at SSM Institute of Engineering and Technology, Dindigul. 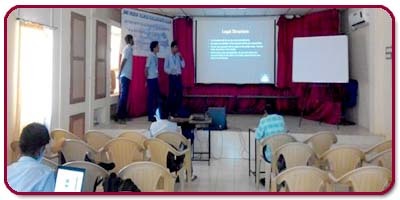 Paper Presentation- A National level technical Symposium-TARENTO ZK’15 Held on 17.03.15 at Sacs MAVMM Engineering college. 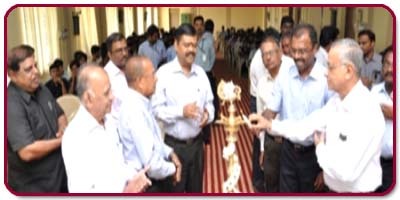 Quiz- A National level technical Symposium-TARENTO ZK’15 Held on 17.03.15 at Sacs MAVMM Engineering college. CAD Modelling- A National level technical Symposium-TARENTO ZK’15 Held on 17.03.15 at Sacs MAVMM Engineering college. Sketching- A National level technical Symposium-TARENTO ZK’15 Held on 17.03.15 at Sacs MAVMM Engineering college. 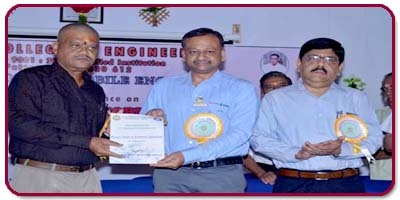 & 28.03.15 conducted by Department of Automobile Engineering, KLNCE. 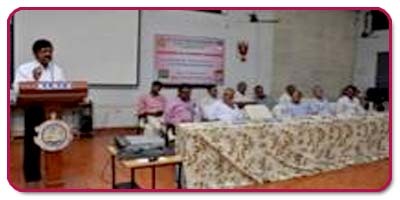 One day workshop on “Automobile Design and Guidance Workshop” Held on 10.04.15 at Kumara guru College of Technology , Coimbatore. 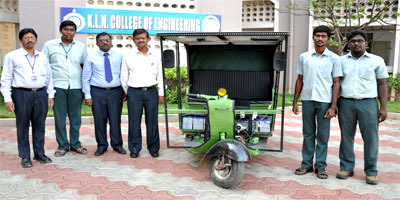 Kumaraguru College of Technology, Coimbatore. 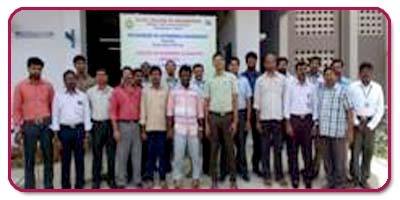 KalingaInstitute of Industrial Technology, Bhubaneswar, Odisha, India. 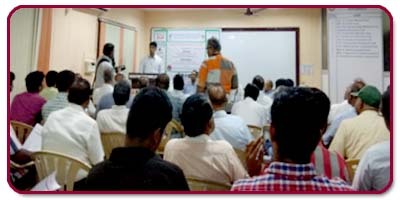 CADD centre Training services Pvt. Ltd., Chennai. 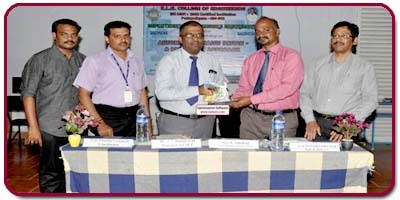 Pandian Saraswathi Yadav Engineering College, Sivaganga. Government College of Technology, Coimbatore. 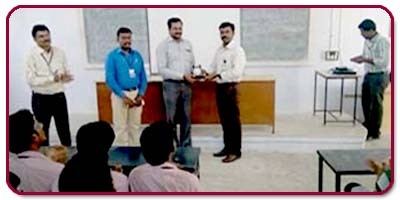 IEEE IHCI 2013 certificate course on Design, development and simulation of FSAE vehicle. 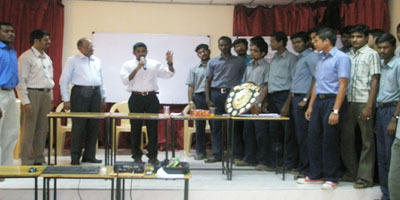 Quiz Contest Pandiyan Saraswathy Engineering College, Sivagangai. 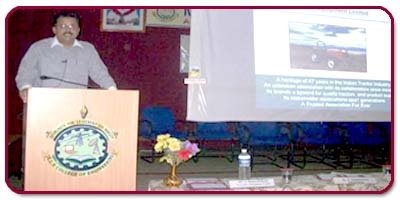 National Institute of Technology, Tiruchirappalli. 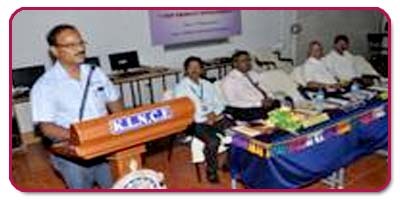 National Institute of Technology, Trichy. 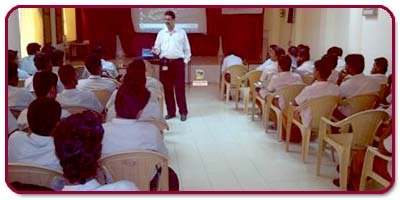 Knowledge Institute of Technology, Salem. 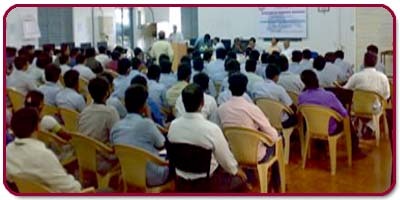 Latha Mathavan Engineering College, Madurai. Er. 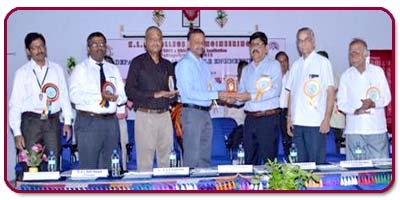 N. Rajkumar, SL Fibre Reinforced Composite Materials for Aerospace Applications Mepco schlenk engineering college,sivakasi. Er. 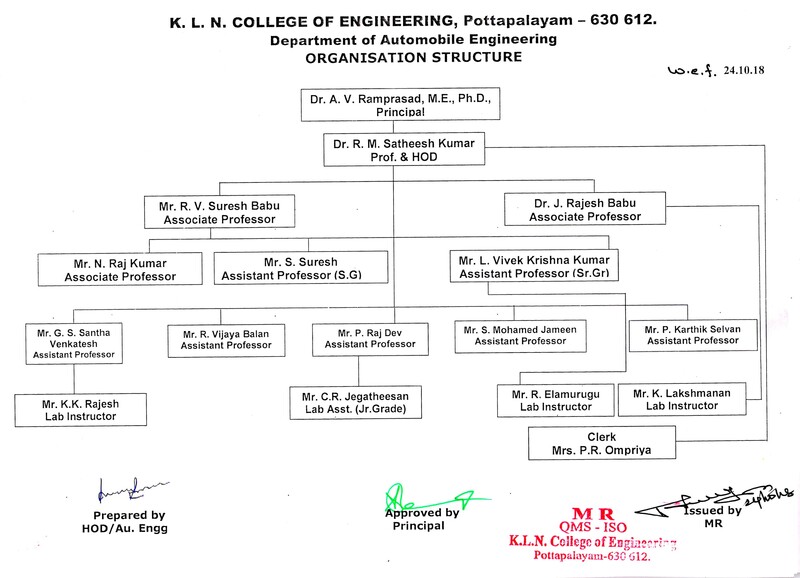 N. Mohan ,Lect. 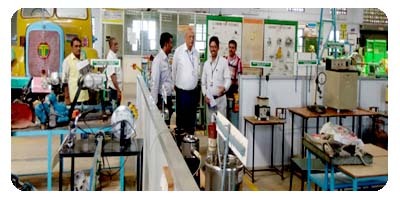 Fibre Reinforced Composite Materials for Aerospace Applications Mepco schlenk engineering college,sivakasi. 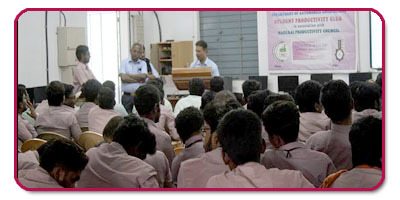 A Guest lecture on “ Latest Trend in AutoCAD Software” Mr.Vijayan, Auto desk Training Centre, Madurai. 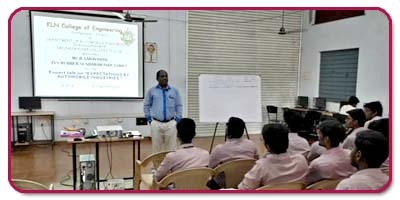 A Guest lecture on “ GRE & CAT Examination” Mr.V.Paul Jim, Product Manager, IMS Learning Resources Private Ltd., Madurai. 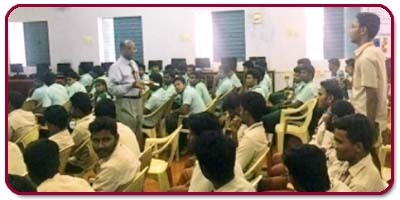 “ Employability Skills” Mr. Anand, Director- Imprint Technology, Madurai. 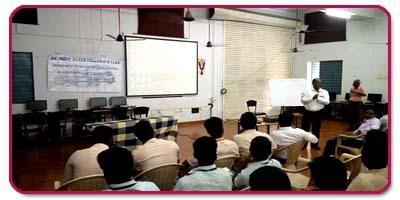 A Guest lecture on “ Auto CAD Software 2014 an Introduction”” Mr.N.Vijayan, Autodesk Training Centre.Madurai. 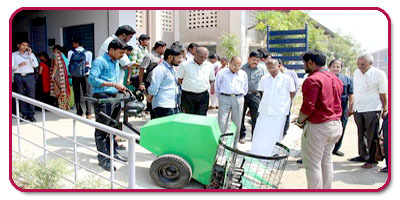 Asst.Prof., MIT, Anna university, Chennai. 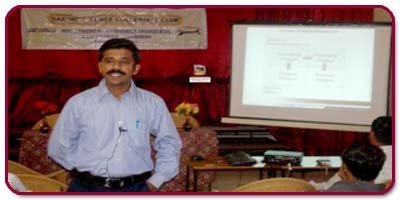 Rapid prototype and product designing and management Mr.R.Rajesh,B.E.,M.S. 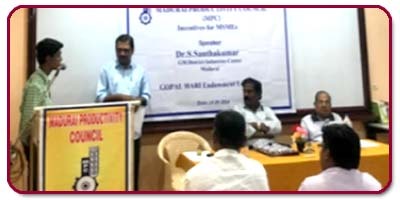 Mr.C.V.Gowri Sankar, Secretary, National Institution for Quality and Reliability, Chennai chapter. 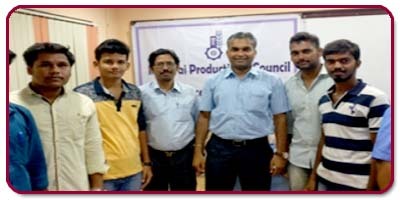 Mr. R. Sundar, AP Analyzing The Performance Of Lean Manufacturing Implementation With Chronological Execution Of Lean Elements Using Spread Sheet Features: A Case Study ’, International Journal Of Productivity And Quality Management. Our President Thiru. K.N.K. Karthik presenting memento to Chief Guest Mr.K.P.Vivekananthan, Assistant General Manager (Operations), TVS-Sundaram Brake Linings Ltd, Virudhunagar District.
" Virtual Product Development "
"Modern Trends in Automobile Engineering"
KLNCE Er. 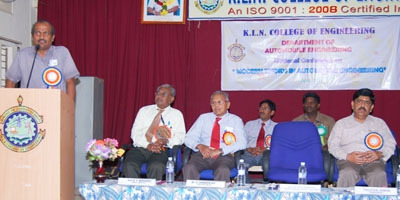 N. Mohan ,Lect. It has got five sections namely Northern India Section, Eastern India Section, Western India Section, Bangalore Section and Southern India Section. 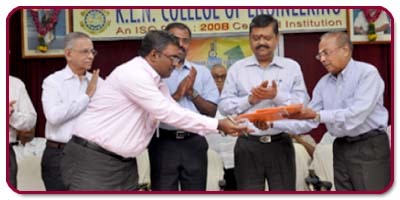 The SAEINDIA KLNCE Collegiate Club was inaugurated in our college on August 21, 2008. 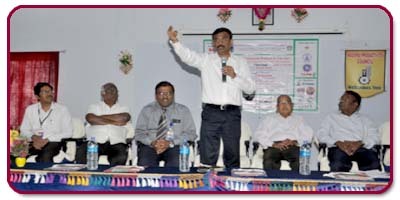 The Chief Guest for the Inauguration program was Mr. Kumaradevan – GM, TAFE. 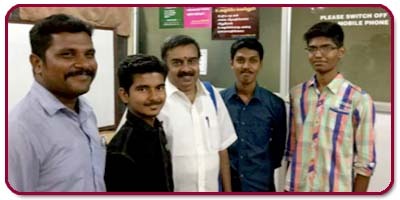 The SAE Collegiate Club in the college started with 90 student members and the student strength of the club is continuously increasing year by year. 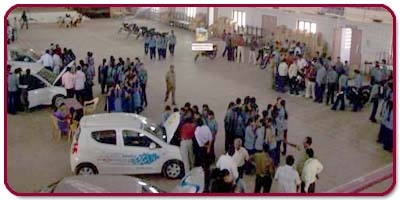 Ever since its inception, SAEINDIA KLNCE Collegiate Club has been organizing various informative and interactive activities, which include regular technical paper presentations, technical events quizes, lectures by various eminent professionals from the industry and Factory visit to various automobile industries. 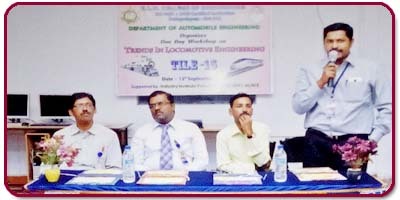 One Day Workshop on " Automotive Chassis Design - A Practical Approach"
Guest Lecture on ‘Employability Skills. 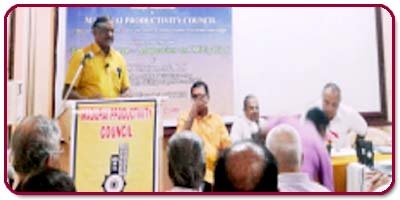 Mr. V.SRINIVASAN, Senior associate Vice president Operations Tractors and Farm Equipments Pvt Ltd. 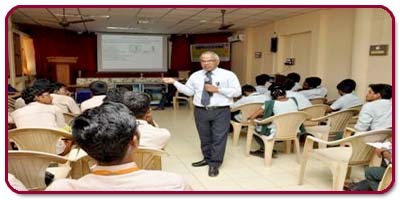 Guest Lecture on “Sheet metal & Forging Applications in automobile manufacturing"
National Institution for Quality and Reliability, Chennai Chapter. Technical Director and District informatics officer, Govt. of India. K.L.N. 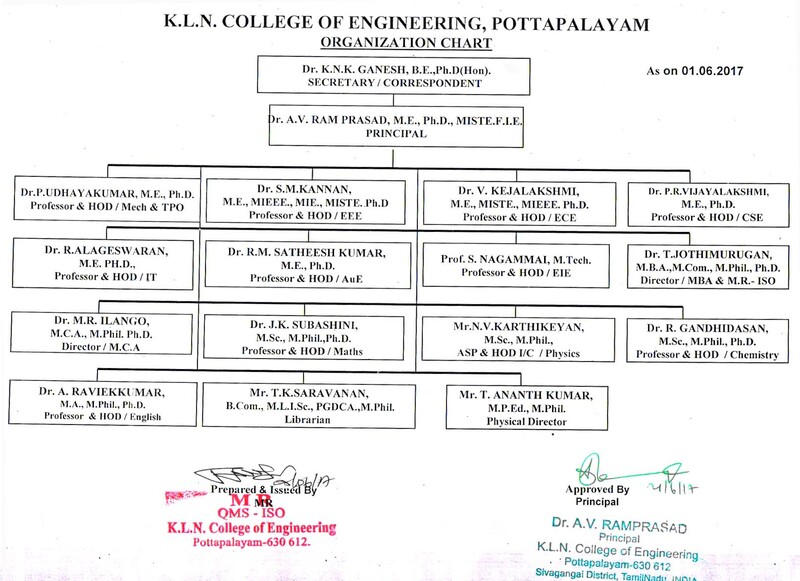 College of Engineering, Pottapalayam. Staffs of Department of Automobile Engineering. 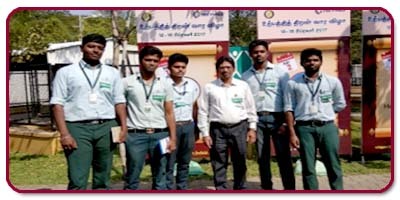 3rd year students Industrial Visit at SNP dairy, Ayyankottai, Madurai. District informatics officer, govt.of. India, Madurai. 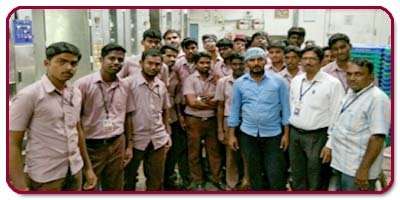 Industrial Visit at TVS srichakra ltd’s,Madurai. 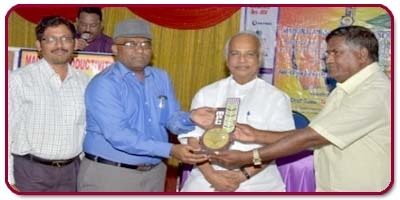 MD, Enviro Care Pvt Ltd.
Mr. Thirumalai, M.A., B.L., MPhil., Journalist, Madurai. 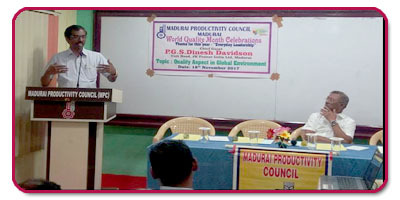 on the Guest Lecture of “Role of Media in Productivity Enhancement” at Madurai Productivity club office, Madurai. 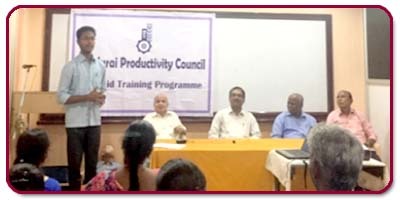 Mr. G. Hari, Former Gm / HR, TVSSrichakra Ltd. at Madurai Productivity club office, Madurai. 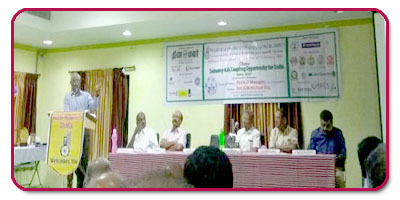 Dr. S. Santha Kumar, General Manager of District industries centre, Madurai. SPC Coordinators of various colleges. Former President Heavy Water Board. 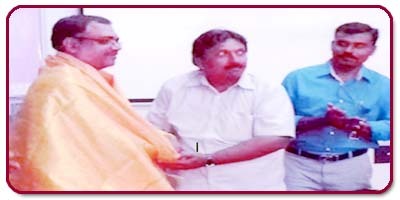 Prof. J. Arul Doss Kanthiha, Former President Heavy Water Board. List of candidates admitted in Automobile Engineering department for the year of 2017-2021. 00026534 A COURSE IN INTERNAL COMBUSTION ENGINES ED1STRP04 SHARMA S.D SATYA PRAKASHAN Inside ML/R13/C. 00015074 A COURSE IN INTERNAL COMBUSTION ENGINES (SI UNITS) IST ED1999 DOMKUNDWAR ANAND V DHANPET RAI & CO. (P) LTD., Inside ML/R13/A. 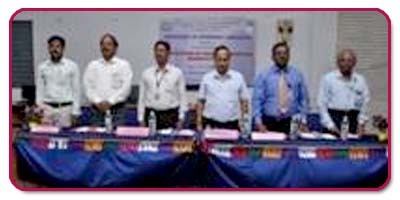 00015076 A COURSE IN INTERNAL COMBUSTION ENGINES (SI UNITS) IST ED1999 DOMKUNDWAR ANAND V DHANPET RAI & CO. (P) LTD., Inside ML/R13/B. 00032981 A COURSE IN MECHANICAL MEASUREMENTS AND INSTRUMENTATION AND CONTROL 12TH ED SAWHNEY A.K. SAWHNEY PUNEET DHANPET RAI & CO. (P) LTD., Inside ML/R8/E.